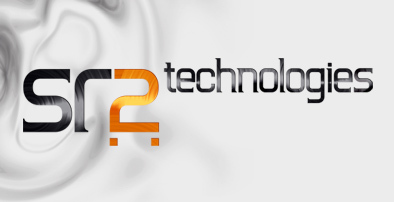 SR2 Technologies Inc. is committed to respect the privacy of our website users. This privacy statement is for the online data collection and usage policies that apply to our website. By visiting this website, you agree implicitly to respect the policies and practices described herein. In some sections of our website, Stephan Raby and SR2 Technologies request or may request that you provide personal information, including your name, address, e-mail address, telephone number, contact information and any other information from which your identity is discernible. In other areas, we collect or may collect demographic information that is not unique to you such as your postal code, your age, your occupation, your preferences, as well as information related to your usage of this website such as what areas you visit and what services you access. Moreover, Stephan Raby and SR2 Technologies may collect information about your computer hardware and software. This information can include without limitation; your IP address, domain names, browser and exploitation system types, access times and referring Web site addresses. We use the information we gather whether personal, demographic or technical, for the purpose of betterment of our website. It can also be used to keep you informed or if we are so compelled by the government or authorities, or should we deem that such a measure is mandatory to comply with legal requirements or data usage procedures, to protect the property rights of Stephan Raby and SR2 Technologies Inc. or the safety of our users or that of the public. Use of this website is subjected to the following terms and conditions as well as all applicable rules and regulations. By using this website, you agree to be bound by the following terms, restrictions, conditions and disclaimers. If you do not agree to these terms and conditions, do not use this website. Any name and/or picture of product and logo mentioned or included herein are trademarks of customers for which the owner of this website has worked during its studies, analysis and articles. The use or misuse of these trademarks, copyrights or other materials, except as permitted herein, is expressly prohibited and may be in violation of copyright, trademark, libel, privacy laws as well as publicity and communication laws or regulations. Furthermore, please note that the companies mentioned herein actively protect their intellectual property to the full extent available under law. We have undertaken reasonable efforts to include accurate and up-to-date information. Stephan Raby and SR2 Technologies reserve the right at their sole discretion to modify, improve, delete, edit, change and add any material on this website. Moreover, they shall not be liable in any manner whatsoever for direct, indirect, incidental, consequential, or punitive damage resulting from the use of, access of, or inability to use this information. In addition, Stephan Raby and SR2 Technologies shall not be liable in any way for possible errors or omissions in the contents hereof. In particular, this applies to any references to products and services supplied by Stephan Raby and SR2 Technologies Inc.
All images and information contained in this website are, to the fullest extent possible, copyrighted and otherwise proprietary. All product names in this website whether or not appearing in different type or with the trademark symbol are trademarks. We reserve the right to alter the content of this website in any way, at any time, for any reason, without prior notification, and will not be liable in any way for possible consequences of such changes. All users agree that all access and use of this website and its content is at their own risk. Neither the Company, its directors, officers, affiliates nor any other party involved in creating, producing or delivering this website shall be liable in any manner for any direct, incidental, special, consequential, indirect or punitive damages (including loss of profit) arising out of your access, use or inability to use this website, or any errors or omissions in the content. It is understood and agreed that you release the Company, its directors, officers and affiliates from all liability in tort, contract or otherwise that may be incurred in connection with the use of this website. You may not create links from other websites to this website unless expressly permitted by Stephan Raby and SR2 Technologies Inc.
You agree not to introduce into or through this website any information or materials which may be harmful to others. Among other things, you agree not to include, knowingly or otherwise, any error or defect in material or information which may be, among other things, a libel, slander, defamation or obscenity, or promote hatred or otherwise give rise to a criminal offence or civil liability on the part of any person or entity. You agree to use the website only for lawful purposes and you acknowledge that your failure to do so may subject you to civil and criminal liability. This site is controlled and operated by Stephan Raby and SR2 Technologies from Repentigny, Quebec, Canada. These terms shall be governed by the laws of the Province of Quebec and the applicable laws of Canada. You agree to be bound by such laws and to submit to the non-exclusive jurisdiction of the courts of the Province of Quebec in connection with the interpretation or application of these terms and conditions. © 2010 Stephan Raby & SR2 technologies inc. All rights reserved.